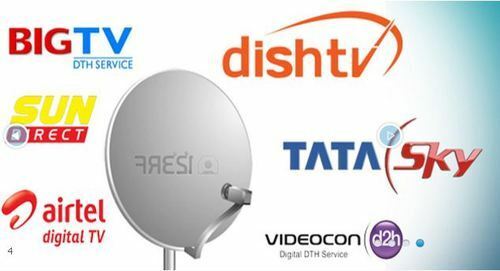 Biznextindia : Telecom Regulator TRAI on Tuesday extended the deadline for DTH and cable TV subscribers to select their channels till March 31 under the new tariff regime. The telecom regulator also said that the subscribers’ old plan would continue till the consumer makes the choice before March 31. The subscribers who don’t exercise any choice would be migrated to ‘Best Fit Plans’. These plans would be developed as per usage pattern, language, channel popularity. However, the same should not exceed the current monthly tariff plan, TRAI added. “In view of the larger public interest, the Authority directs all DPOs that those subscribers who do not exercise their options shall be migrated to a ‘Best Fit Plan’. The subscribers’ old plan shall continue till either subscriber exercise his/ her option, or he / she is migrated to the ‘Best Fit Plan’. The Authority hereby, vide this press release, extends time up to 31st March 2019 for exercising the option by such subscribers who have not exercised option yet. Subscribers will be free to change their ‘Best Fit Plan’ at any date and time on or before 31st March 2019 and DPOs shall convert their ‘Best Fit Plan’ into the desired pack (channel/Bouquet) within 72 hours from the time choice exercised by the Subscriber. It is clarified that there will be no ‘lock-in period’ for the subscribers till 31st March 2019 who has been migrated to ‘Best Fit Plan’ by DPOs” TRAI said in a statement.